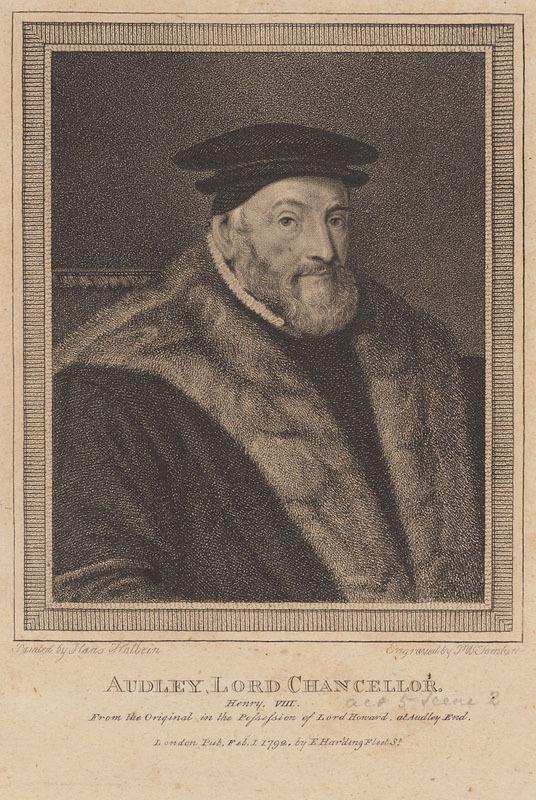 Lord chancellor of England (1533–44) under Henry VIII. He was made speaker of the House of Commons in 1529 and lord keeper of the great seal in 1532. 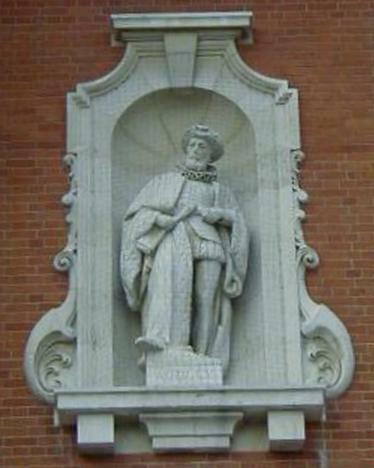 A loyal servant of Henry VIII, he supported the King's divorce (1533) from Catalina de Aragón and as chancellor presided (1535) over the trials of Sir Thomas More and John Fisher. He also aided in the prosecution of Anne Boleyn (1536), Sir Thomas Cromwell (1540), and other notables; being instrumental with laws concerning the dissolution of the monasteries and the king's marital difficulties. His family came from Colchester and a substantial number of memorials to the family exist in a chapel at nearby Berechurch. Thomas Audley studied at Buckingham College, Cambridge. He was educated for the law, entered the Middle Temple, was town clerk of Colchester, and was in the commission of the peace for Essex in 1521. In 1523 he was returned to parliament for Essex, and represented this constituency in subsequent parliaments. In 1527 he was groom of the chamber, and became a member of Wolsey’s household. At the fall of the latter in 1529, he was made chancellor of the Duchy of Lancaster, and the same year speaker of the House of Commons, presiding over the famous assembly styled the Black or Long Parliament of the Reformation, which abolished the Papal jurisdiction. The same year he headed a deputation of the Commons to the king to complain of Bishop Fisher’s speech against their proceedings. He interpreted the King’s “moral” scruples to parliament concerning his marriage with Catalina, and made himself the instrument of the king in the attack upon the clergy and the preparation of the Act of Supremacy. In 1531 he had been made a serjeant-at-law and king’s serjeant. He was knighted 20 May 1532, and succeeded Sir Thomas More as lord keeper of the great seal, being appointed Lord chancellor on the 26 Jan 1533. The following year he became Henry VIII’s Lord Chancellor. 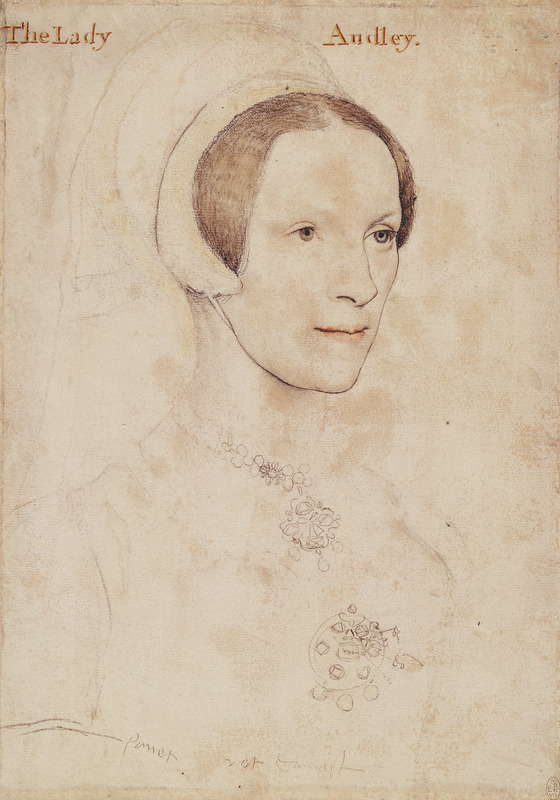 This year he tried Anne Boleyn and her lovers, was present on the scaffold at the unfortunate Queen’s execution, and recommended to parliament the new Act of Succession. In 1537 he condemned to death as traitors the Lincolnshire and the Yorkshire rebels. Sir Thomas Audley played a major role in dissolving the larger religious houses. On 29 Nov 1538 he was created Baron Audley of Walden and received the recently closed abbey at Audley End. Audley End stands on a site once occupied by a Benedictine priory (later an Abbey) built in 1136 by Geoffrey De Mandeville, Earl of Essex. Like other religious foundations, the Abbey was closed when Henry VIII dissolved the monasteries. Soon after presided as lord steward at the trials of Henry Pole, Lord Montague, and of the unfortunate Marquess of Exeter. In 1539, though inclining himself to the Reformation, he made himself the king’s instrument in enforcing religious conformity, and in the passing of the Six Articles Act. On 24 Apr 1540 he was made a Knight of the Garter, and subsequently managed the attainder of Thomas Cromwell, Earl of Essex, and the dissolution of Henry’s marriage with Anne of Cleves. In 1542 he warmly supported the privileges of the Commons, but his conduct was inspired as usual by subservience to the court, which desired to secure a subsidy, and his opinion that the arrest was a flagrant contempt has been questioned by good authority. In 1542 he endowed and re-established Buckingham College, Cambridge, under the new name of St Mary Magdalene, and ordained in the statutes that his heirs, "the possessors of the late monastery of Talden", should be visitors of the college in per petuum. A Book Orders for the Warre both by Sea and Land (Harleian MS. 297, 144) is attributed to his authorship. 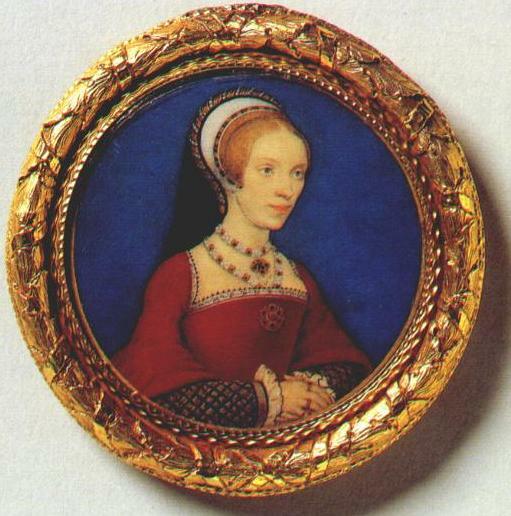 Sir Thomas improved his status by marrying Elizabeth Grey, daughter of the Marquis of Dorset. He resigned the great seal on 21 April 1544, and died after a short illness on 30 Apr, while still a young man, being buried at Saffron Walden, where he had prepared for himself a splendid tomb. The property passed via his daughter Margaret to her second husband, Thomas Howard, fourth Duke of Norfolk.